Nerd alert! New camera talk ahead! This weekend I jumped in with both feet and went for it. I upgraded my DSLR after 10 years. Ain’t she a beaut? I have been thinking about this upgrade for awhile and the photography bug is getting the hooks in me again so I thought I would just go for it. I took a few first shots in the car on the way home but the battery didn’t afford me much time. Reluctantly I came home and threw the battery on the charger and started (not so patiently…) waiting for it to be done. Finally after what seemed to be ages but was in reality only a couple of hours, it was charged! I threw the battery in her and took it outside with the dogs for a test session. I must say I am IN LOVE with it. Its very quick and responsive. Now I just need to get used to settings and lay out on this camera and tap back into my chest of photography secrets I have packed away. I can’t wait to show you guys some more shots! Knitting – New project alert! Wow. It’s been quite a while since I talked about any knitting. To be honest, its been a hot minute since i’ve done much knitting. Over the weekend Laura and I went to Winterset, Iowa for our second annual Heartland Fiberpalooza trip. We both treated ourselves to a skein of the softest alpaca yarn. I am going to make a quick scarf just so I can have that heavenly softness near my face whenever possible. I love travel. I love exploring new cities and trying new places to eat. Josh had to go to Florida for work and we decided to make a road trip vacation out of it. It was a whirlwind trip, but good nonetheless. We left Tuesday morning and got on the road. All was going well until about 3 am (we decided we would just drive all the way thru) when we got a flat tire. In Georgia. In the rain. Luckily I noticed it before it was a blowout or worse and we were able to get off the highway at a rest stop. We got the tire changed and found out there was a rental car location in the next town and drove there until the rental place opened in the morning. Since it was so late, we opted not to get a hotel room to sleep in for 4 hours and instead slept in the car. Classy and cheap 🙂 After getting the tire taken care of (replaced sadly enough) we were back on the road. Every place we ate on this trip was somewhere new for us. Here’s the rundown! Smokey Bones in East St Louis – BBQ, as the name suggests. We are “spoiled” in Kansas City and BBQ almost always includes beef and turkey. This was mostly pork based BBQ but was good nonetheless. I got the pulled pork nachos, which was very yummy. Josh got a sandwich of some kind, I believe. Krystal Burgers – The White Castle of the south (?). Baby burgers. It was a meal. We don’t regret it but won’t be scrambling to go back. Bojangles – The KFC of the south, with a flair. The chicken was decent as were the sides. I do have to say…sweet tea in the south is SWEET! Abe and Louies in Boca Raton – This was the fanciest meal of the trip. Wait. This was the fanciest meal of my LIFE. As soon as we walked in I felt way under dressed for this restaurant. We were seated at our table and had a bit of sticker shock when we opened the menu. Everything was Ala carte and soda was served in a 12 oz bottle with a glass of ice. That being said, the meal was INCREDIBLE. We started off sharing a chopped salad (it was huge) that was really good. For my entree I opted for something super different than my norm and got Shrimp and Scallop Risotto. It was great. Josh got a steak and a side of macaroni and cheese. They were both amazing. Best steak I have ever tasted! The Burger Freak in Ft Lauderdale – This was a recommendation from my nieces dad and it did not disappoint. The burger and fries were solid and they had fried oreos for dessert. Whats wrong with that? Nothing! Thick and Thin Pizza in Boca Raton – This place is what I imagine NY pizza joints are like. Intimate spaces where you can see right in to the “kitchen”. We got a pepperoni pizza and it was greasy and yummy! Casa Maya Grill in Deerfield Beach – Another recommendation from my nieces dad and his girlfriend (and my niece, actually). A Mexican place with decent food. We both got fajitas and enjoyed them. There was a table side guacamole service, but neither of us like it enough to join in on that fun. 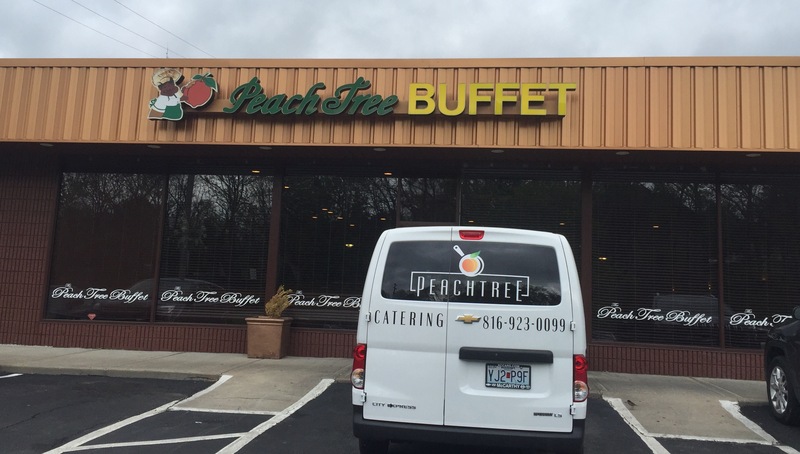 Ole Times Country Buffet – This was a find as we pulled off on an exit on the way home in the search for a lunch. It is exactly what it sounds like, a buffet. However, it was easily the best buffet that I have been too! They had a great selection of “southern” foods and meats. Everything we tried I think we liked and was good quality. It’s probably a good thing they don’t exist in our neck of the woods. In full disclosure, we did eat at a McDonald’s on the way back but it was super late and we were hungry and trying to push thru and make it home. We were so anxious to get home to our furry kids and own house we drove straight thru and got home 24 hours after we left Florida. I know that is a drive I won’t be making anytime soon again, especially straight thru like we did! I would definitely visit Florida again where we were, especially at the same time of year. The weather was BEAUTIFUL. Since it was a working vacation for Josh, I wandered around by myself while he was working. I explored the beach by our hotel where they had just finished filming some scenes for a new movie. I checked out some shops and soaked up some ocean air. Friday Josh and I headed out and did some exploring together. We ended up at Butterfly World and were both impressed. They had lots of cool butterflies, naturally, and birds and pretty plants to look at. I enjoyed the Lorikeets the best. The best dollar I spent there was for a little cup of what is apparently lorikeet crack. They will fly right over to you and perch on your arm for a taste of the crack. One was also fascinated with my jeans and attempted to climb up my pant leg. I wish we could vacation more! Where is your favorite vacation destination? First off, a confession…this isn’t the restaurant we set out to eat at a couple of weeks ago when we went. I had been perusing some local webistes and had chosen Cleaver and Cork to go to. However when we got there we found them closed, despite their website saying their hours were 11am – midnight. Therefore, we improvised. There are still plenty of choices in the Power and Light District and we quickly regrouped and decided on The Dubliner which was right across the way. When you walk in, it has a cool old-timey, fancy feel to the place which we both love. We were seated in a half table/half booth right off the main floor. Neither of us, being the dorks we are, wanted to sit with our backs to the room so we both sat on the booth side together. Feeling fancy, I ordered the Steak Frites. It came with a delicious tomato bacon marmalade on top of the steak which really made it for me. The potatoes were a little boring/plain but what can you do? Dad went with the Irish Nachos. It was a potato lovers dream. They were very tasty. Chips and shepards pie and cheese and mashed potatoes and gravy. What more could you want?!? Over all we were very pleased with our meal. I would definately go again and try some other things and I’m sure dad would too.